This past weekend I had the honor of performing a wedding ceremony at Meadow Ridge Events located in Windsor, Ohio. Ohio State Park Lodges provide unique settings for an unforgettable wedding experience. All of the lodges feature beautiful indoor and outdoor settings that offer countless possibilities for a romantic day in any season of the year. From the shores of Lake Erie to the foothills of Appalachia, you are sure to find your dream location at one of the Ohio State Park Lodges. Each of the Ohio State Park Lodges and Conference Centers is equipped with a selection of banquet and reception rooms that can cater to whatever you have envisioned for your special day. Professional event planners will be there to assist you with any details—big or small—and ensure you have everything to make this day flawless. You and your weddings guests can enjoy spacious lodging, championship golf courses, pristine lakes, indoor and outdoor swimming pools, children’s activities, and a range of outdoor activities that include hiking trails, horseback riding and paintball. Any of these events can be incorporated into your wedding plans and include family and friends. Make your wedding dreams a reality at an Ohio State Park Lodge today! Are you thinking of eloping but looking for a way to make your day special for both of you? Well, here is a list of things you might want to review when making plans for the two of you. 1. Dress up--wear something special so you are in the moment and feel like a bride. Just because you are not having a large wedding doesn't mean you can't wear a wedding dress. Wear whatever makes you feel like a bride. 2. Order a small bouquet and boutonniere for each of you. 3. Hire a photographer and/or videographer to preserve these important memories. This will also allow you to share this day with family members and friends. Look for someone who will allow you to use their services for an hour or less which will keep expenses down. 4. Plan for the two of you to share appetizers/dinner/drinks after the ceremony to celebrate. 5. Write love letters to each other that you read privately before the ceremony or read aloud to each other after being pronounced husband and wife. 6. Select a special song that means something to the two of you to play before or after the ceremony. 7. If you drink, buy special champagne flutes and toast with champagne after the ceremony. 8. Write your own vows. Frame them after the wedding to display in your home. 9. Get your hair and make-up done so you feel extra beautiful. 10. Order a small cake or cupcakes to share after the ceremony. 13. Spend the night at a special hotel or Bed and Breakfast. 14. Select a song that you would like to dance to after being pronounced husband and wife so you share that first dance. The whole reason to have a wedding in the first place is to get married and express your love for your significant other. When you elope you do just that. At the end of the day all that really matters is that you and your new hubby are newlyweds. I recently had the honor of performing a vow renewal ceremony for Andrew and Sarah. They were celebrating their fourth anniversary and shared with me that they have renewed their vows every year since they first said "I do". I couldn't wait to blog about what they have shared each year. When they married four years ago, they actually chose to have two ceremonies. The first was held at the foothills of the mountains in Albuquerque, New Mexico. The second wedding ceremony took place on the beach in Key West. For their first year anniversary, Andrew and Sarah went to Durango. Year two was celebrated in Oregon, where they renewed their vows at the Out 'n About Treehouse "Treesort". Out’n’About Treesort is in Oregon's Siskiyou National Forest and is made up of 36 treehouses. Their third year of marriage was celebrated at the Sequoia National Park in southern Sierra, Nevada, For this special celebration, the two of them hiked into the park and stopped by a lake to privately share words of love and commitment to each other. This year, Andrew and Sarah traveled from their home in California to Cleveland, Ohio. 2013, however, brough a new addition to their family--six month old Caleb. For this vow renewal they chose The Rock and Roll Hall of Fame and they each dressed up--Andrew as Joey Ramone, Sarah as Dolly Parton and Caleb as Elvis Presley. The ceremony took place on the main stage in The Rock Hall. I talked my husband into joining me so we could get some special photos of the day. All photos posted on this blog were done by caruso images. Are you tired of the traditional guest book where friends and family dutifully sign their names on the dotted line? Although it’s nice to have a record of those who attended your wedding, a simple book of names can seem a bit, well…boring. No need to worry. Today, there are plenty of unique and creative guest book alternatives to fit any couple’s personality. Here are just a few ideas I found on Etsy. 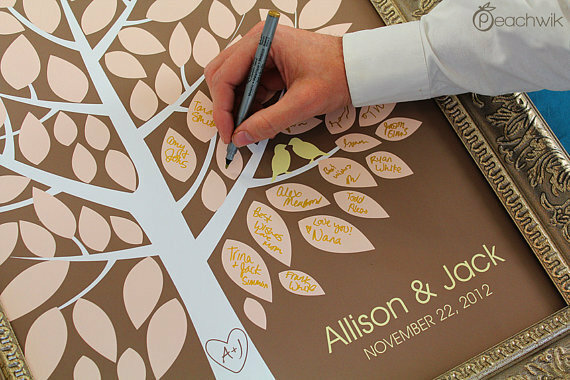 This wedding Wishwik™ signature tree is designed to replace the traditional guest book registry. Your guests will bring this tree to life by autographing each leaf. This guest book print is the perfect way to capture your wedding memories and doubles as a beautiful piece of art for your home for years to come. Guests sign their names on the hearts and help to create an original and memorable work of art that you will enjoy for years to come. 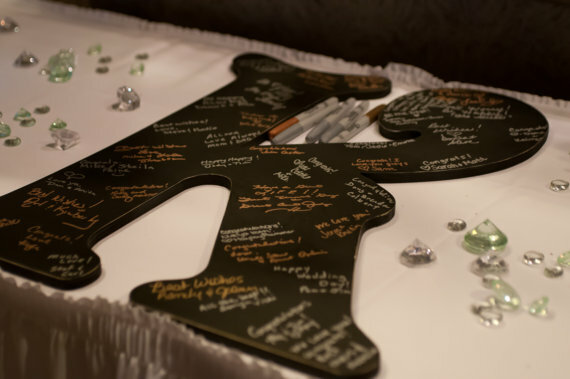 This creative guest book idea features large puzzle pieces that provides you with an interactive way to engage your guests. Each puzzle is made of the finest materials in the industry and are made thick, durable and feature vibrant colors to highlight your Special Day. A two foot tall letter that your wedding guests can sign with a fine point sharpie. 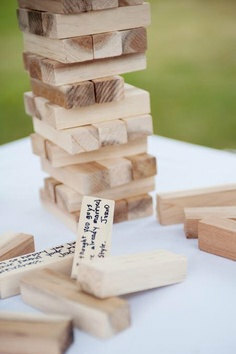 The sharpie will keep the guest's names and any wishes they leave permanent. What a great way to display memories of your special day. After doing a wedding at Window's on the River tonight, I feel I must tell you what I experienced. I have done outside weddings where I needed to stop a few seconds to let a train pass or a plane fly over. Tonight, however, was totally different. The minute the ceremony began, there was a great deal of music, laughter and talking. It was not obvious where it was coming from, but it was loud! The father of the bride got up during the ceremony and went up to the second floor in hopes of finding the people responsible, but could not find them. As the noise continued, a number of guests got up to see if they would have better luck locating where this distraction was coming from, but again, the culprits could not be found. The laughter, talking, music and noise continued throughout the entire ceremony. It was rude, distracting, frustrating and should never had happened. I have performed over 200 ceremonies and never experienced anything like this. As soon as the wedding was over, I went directly to the woman in charge of events held at Windows on the River but I didn't get much of an explanation. She was not present in the room for most of the ceremony so didn't hear what the rest of us experienced. Finally, a younger employee of Windows approached me and explained that the noise had not been made by employees from Windows on the River but rather by employees of the Aquarium. Apparently their office is located on the third floor. She explained that she actually went to the Aquarium to tell them what was going on but by the time that person radioed the employees, the ceremony was over. When you are selecting a venue, ask as many questions as you can. I know the employees responsible for this disappointment were not Windows employees but it certainly seems like a memo letting the aquarium know when they are hosting a wedding might be a simple solution. On September 14th, I had the honor of marrying Dr. Mark Thompson and Lisa Schulze. 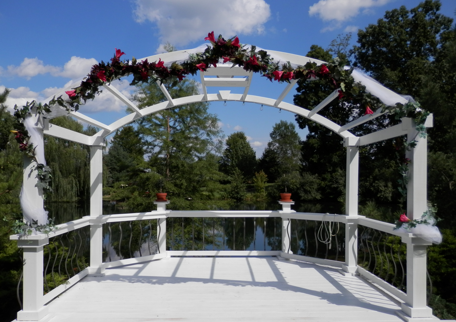 They chose to host their special day at Inn at Brandywine Falls surrounded by their family and closest friends. The Inn already held some very special memories for them so when they began to think of venues they might want to hold their wedding at, this was an easy choice. Brandywine Inn is an impeccable Country Place and a part of the tapestry of 33,000 acres of parkland (Cuyahoga Valley National Park) and adjacent to Brandywine waterfall. Built in 1848 as the home of James and Adeline Wallace, it was a centerpiece of the then thriving community of Brandywine Mills. The Wallaces owned the mills as well as 800 acres of land. Now their fine place provides six rooms for visitors, many with sitting areas and all with well-appointed private baths. 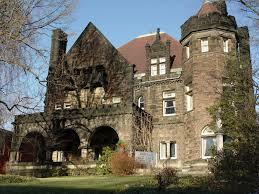 Each guest accommodation is distinct in Ohio historic decor and ambiance. It was simply the most perfect weather day for an outside wedding. The sun was out and the temperature was exactly what you would hope for. The ceremony and reception were set up in the surrounding gardens.The flowers were all designed and made by the Inn Keepers using flowers that came from their many gardens. Tables were set with gold chargers, wine glasses trimmed in gold, lots of green flowers, and a green apple placed on each plate. It was clear that much thought had been put into how this day should look. I had not met Mark and Lisa in advance, but from the moment I arrived it was obvious this is a couple that truly love each other. `Lisa is a very beautiful woman. She wore an ivory lace dress that Mark had purchased for her nearly a year ago when they were shopping for a dress she needed for another occasion. Lisa had decided not to get the lace dress because she felt it wasn't the right choice for the event, but Mark loved her in the dress so much he purchased it and told her to save it because he was sure she would eventually find a need for it. He certainly found the perfect day for her to wear the beautiful dress! The ceremony was full of love. Mark and Lisa each wrote their own vows, and they were definitely the most wonderful vows I've ever heard a couple share. It was obvious that they each took a great deal of time and thought in deciding exactly what they wanted to promise each other. Once the ceremony was over, guests were treated to wine, chocolate, and cigars in the garden. This was followed by a lunch prepared by the inn keepers. Each guest also had a choice of taking home a bottle of red or white bottle of wine home with them as a favor. Wedding invitations instructed guests to bring their hiking shoes so they could join the bride and groom in a hike after lunch. This would eventually lead the guests to a treasure hunt. Mark and Lisa love the outdoors and spend a great deal of their free time hiking and climbing. They even corporated this in their cake topper. I must tell you that the bride did all of hiking and hunting in her wedding dress and hiking boots. I wish I had a photo of this! Mark and Lisa spent the night at the Inn and then were off to a honeymoon in Europe. Such a beautiful couple and special day! On January 7th, 2013, I received a inquiry about performing a wedding ceremony on September 7th. LeeAnn and I had been corresponding on a regular basis in an effort to create the perfect wording for their special day. Then on August 4th, I received an email from LeeAnn. I am sharing just a little of it with you. It is with shock and disbelief still that I write this post to you all. Tommy suffered a brain aneurysm yesterday morning. The aneurysm ruptured at home and caused him to have a seizure and pass out. Luckily, we were both at home when it happened and I was able to call 911 and they got him to the hospital right away. He underwent several labs, EKGs and a CT which found there was bleeding on his brain. He was transferred to another facility where an angiogram was done to look at the arteries in the brain to see where the rupture occurred, how large it was, and how much bleeding there was. He underwent an emergency craniotomy last night to repair the rupture so it wouldn't open up again and bleed out anymore. They placed a metal clip onto the rupture to hold it together and keep it from opening again. The surgeon said the aneurysm is very small and there was very minimal bleeding on his brain. He doesn't have any more aneurysms and they are confident this one won't rupture again. They are confident that because he is so young and healthy that he should fully recover, hopefully without any complications or permanent damage. However, the next 2 weeks are extremely critical and he will be in Neuro ICU for at least the next 12-14 days for close monitoring and further testing to ensure the aneurysm is closed and there is no more bleeding on his brain. I was able to see him after surgery in the early hours of this morning and he was doing well. He had a bad headache but that is expected they said. He was talking and coherent and even making a few jokes." After reading the email, I believed that there would be no way a wedding could take place the way Tommy and LeeAnne had hoped. Tommy, however, proved me wrong. I had the honor of pronouncing them husband and wife today--just like they had planned. They changed their venue to their backyard where nearly 60 family members and friends shared in their special moment. Tommy walked in with some help from a cane but refused to use it during the ceremony. He simply held hands with his beautiful bride. I believe, however, she needed his support as much as he needed hers. It was a beautiful wedding. It is a wedding that will forever have a special place in my heart. This is a couple that faced a very scary and life changing event that has made them both closer and stronger. There was so very much love shared by this special couple as well as their friends and family. The Happy Days Lodge has a 4,000 square-foot Great Hall and breezy screened-in porch surrounded by a rolling meadow. It is the ideal setting for an unforgettable wedding event. 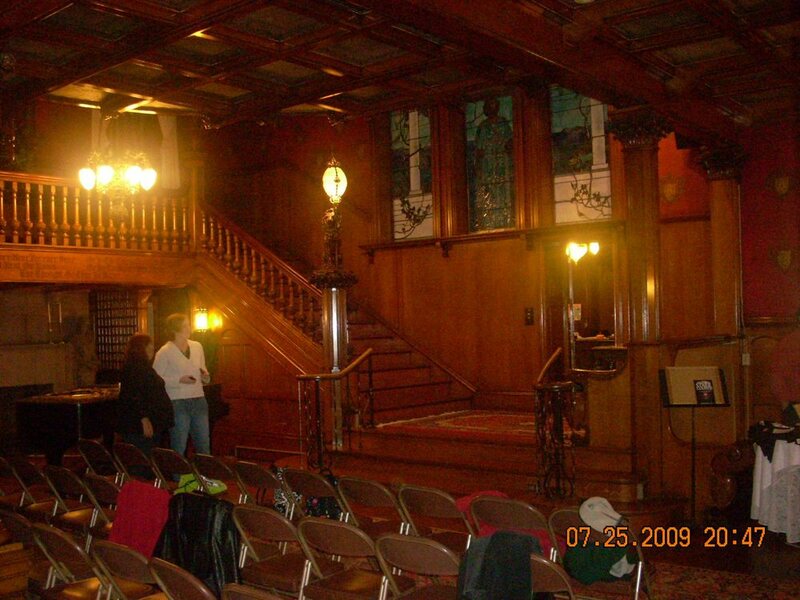 This unique venue is on the national register of historic places and is a gorgeous example of a wormy chestnut and sandstone structure, built in the 1930s by the Civilian Conservation Corps. The Lodge is a perfect backdrop for planning a creative wedding event. The facility can accommodate up to 180 guests for a seated dinner. If you thnking you would like a rustic wedding theme, I can't think of any venue more suitable to make all your dreams come true. I recently married Hayley O'Hare and Frank Ziegler in the meadow. It was a warm, sunny and perfect day. Much attention was given to decorating the hall with baby's breath, brass chandeliers and twinkling lights hung from the wooden rafters, chalkboard signs, antique suitcases, ball jars, and colorful table runners. I have done several weddings at the Happy Days Lodge but have never seen it shine the way it did for the Ziegler wedding.